A police comedy with a massive dog as the real star, Turner And Hooch finds plenty of funny moments thanks to the antics of a perpetually frothing canine, but suffers from a pretty flimsy plot. 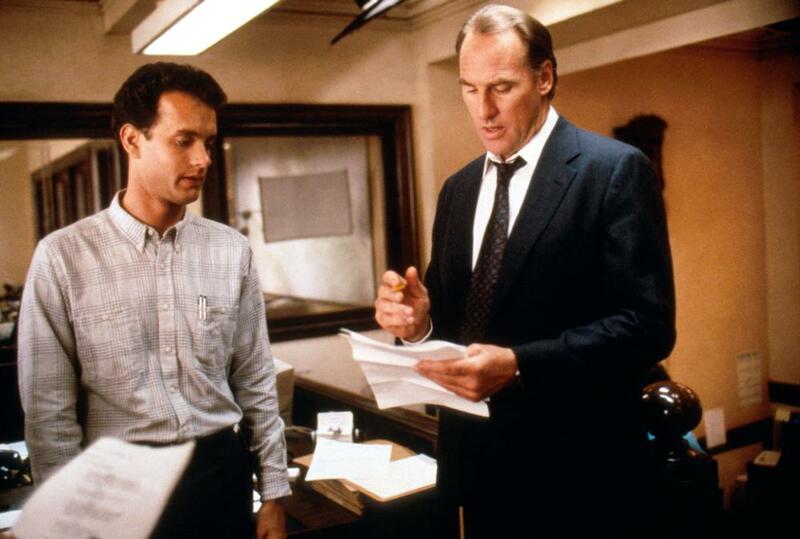 In the fictional Sacramento suburb of Cypress Beach, young, single and extremely tidy police Detective Scott Turner (Tom Hanks) generally has nothing to do. He is getting ready to take a higher profile job in the big city, and is showing his replacement Detective David Sutton (Reginald VelJohnson) the ropes. The peace and quiet is suddenly shattered when old geezer Amos Reed (John McIntire) is killed after witnessing suspicious activity at the local fish processing plant. Amos' dog Hooch, a massive slobbering French Mastiff, is the only witness to the murder. Scott reluctantly takes Hooch in as his new roommate, and the dog promptly proceeds to make a gargantuan mess out of Scott's house while chewing out his car. Scott starts a relationship with local veterinarian Dr. Emily Carson (Mare Winningham), while Hooch proves his worth by identifying a prime suspect in the murder case. With the dog's help, Scott, Sutton and their boss Chief Howard Hyde (Crag T. Nelson) close in on a conspiracy centred at the fish processing plant. Directed by Roger Spottiswoode, Turner And Hootch proves the old W.C. Fields adage about never working with children or animals. 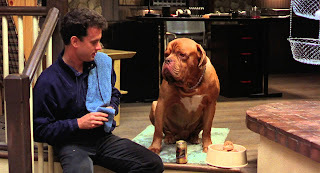 There is a film here about some sort of crime, and Tom Hanks is as likeable as ever, but the only thing that matters is the big, uncoordinated, lovingly ugly Hooch (played by Beasley the Dog). The film is a showcase for the beast, and large chunks of running time are dedicated to Hooch being Hooch. The best comic moments are fuelled by Turner's tidiness being an irresistible target for Hooch's antics. The dog methodically destroys anything that resembles neat, clean and orderly in Turner's life, and what he does not damage, he eats. The appeal of the film is in making Hooch lovable despite his unattractive drool and bulky clumsiness, and Spottiswoode succeeds in turning the dog into a sympathetic and loyal best friend. As for the plot, it takes a back seat way at the far end of the bus. Both the nefarious activity at the fish processing plant and the romance between Turner and Emily are sketched in with thick lines, barely developed, and mainly serve to interrupt the fun with the dog. Turner And Hooch is amiable entertainment, a woofing good time without much of a memorable bite.